Are you a Gemini in love? Or do you love a Gemini? Will it last? Of all the signs of the Zodiac, Gemini men and women are among the most charming and can be the most fickle. Geminis are quick to fall in and out of love and are always on the lookout for love and excitement. Geminis love the thrill of the chase but once caught, the novelty can quickly wear off and they will move on. If you fall in love with a bright, quick-witted Gemini, then enjoy it while it lasts! Witty, charming, interesting and generous – Gemini man is one of the best dates you will have. He finds it very easy to draw you in, but beware, Gemini man gets bored just as easily, so you may not be in his life for very long. Gemini man just loves women. He is interested in everything about them. He will want to listen to what you say, how you feel and what you want. But Gemini man yearns for excitement and adventure above all else. When the fun ends, then so will the relationship. But if you do manage to get him down the aisle then Gemini man will treat you as his equal and be a dedicated partner. Many men will find the Gemini woman confusing because there’s definitely two sides to this lady. She wants to feel she is her man’s priority, that she is much loved and secure. But at the same time, she needs to retain her individuality and freedom. Easily bored, which may lead to restlessness, Gemini woman must be stimulated both emotionally and physically. Geminis are unpredictable and will fall out of love as easily as she falls nto it and her restlessness can lead to there being more than one man in her life, while at the same time being jealous and possessive. 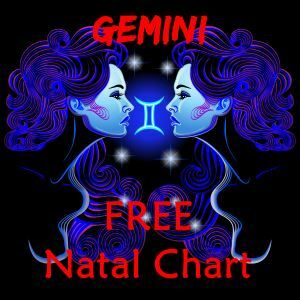 Generally enchanting to many men, in a long term relationship Gemini woman will need a partner who is very patient and intellectually stimulating as well as versatile and not possessive. 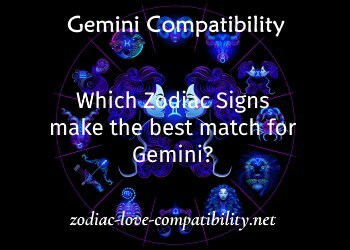 Which Zodiac signs make the best partners for Gemini? Which star signs are the most compatible with Gemini? Geminis are well matched with Aries, Leo, Libra and Aquarius. Geminis should avoid relationships with Taurus, other Geminis, Virgo and Pisces. Gemini and Taurus are not well matched because their emotional outlook is very different. The air quality of the Gemini mind is constantly on the go and loves variety. Taurus is more earthly and the slow, plodding fixed ways of the steady, faithful Taurus would find a restless Gemini very hard going. Gemini and Gemini can be a potentially dangerous combination. There could be competition and their dual personalities and fickleness could cause mutual unhappiness. Gemini and Virgo share the ruling planet of Mercury , which may prove the undoing of these signs. In Gemini, Mercury is logical and calculating but in Virgo, it is demanding and critical. Virgos are very realistic, which would constantly question and oppose Gemini’s restlessness and need for variety in their lives. Gemini and Pisces – Gemini loves freedom and this will conflict with the sensitive and distrustful nature of Pisces, who would want Gemini to give everything up in order to devote themselves completely to their partner – unheard of in a Gemini! Geminis like variety and get bored easily, so plan something that will keep them entertained and on their toes all night. Providing you are not looking for a romantic night out, then a lively casino may be a great choice. Geminis adore the theatre, arts and music, so a play (providing the play is not too deep and depressing), musical, or concert would be a good first date. Geminis love to talk, so if you do want a secluded night alone, plan for plenty of interesting chat. Previous PostTaurus Compatibility Chart – Which Starsign is the Best Match for Taurus?Next PostGemini Compatibility Chart – Which Starsign is the Best Match for Gemini?